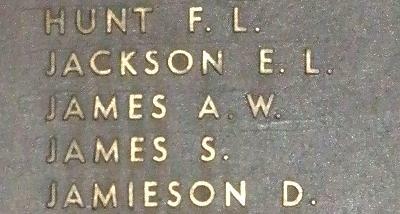 War Grave Register notes: JAMES, Sh. Smith Alfred William, 228. 8th Australian Light Horse. 7th Aug., 1916. Age 27. Son of Alfred and Elizabeth Ann James, of Yarrawonga, Victoria, Australia.